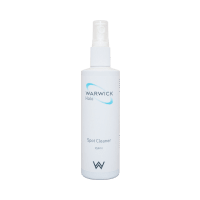 The Warwick Cleaning Collection includes a range of product cleaning kits that assist in maintenance and protection of your furniture items. The range includes a Spot Cleaner, Deodoriser and Protector for fabric, and a Soft Cleaner and Protection Cleaner for leather products. Keep your furniture looking fresh and maintained with these convenient and easy to use kits.